© Provided by Fox News The incident happened Sunday as the plane was flying into Belfast International Airport. 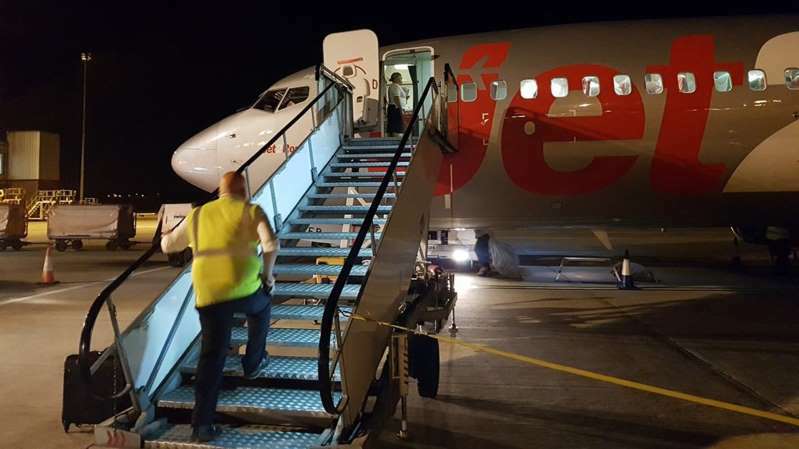 A number of Jet2 passengers were injured when an unsecured snack cart rolled from the back of the plane down the aisle during landing, hitting passengers’ legs and arms along the way. [post_ads]The incident happened Sunday as the plane was flying into Belfast International Airport. “Everyone was frightened and people screamed,” he added. "There were a lot of children including babies on that flight," he said. “She didn’t know what the noise was, it was so loud,” she said to BBC. Jet2 has apologized to those onboard for the incident. “The safety and care of our customers is our priority and we apologize to those who were delayed in their journey home and we apologize sincerely to anyone who was inconvenienced,” Jet2 said in a statement to Fox News. The passengers were delayed for a short time on the plane, but then deplaned normally, the statement said.